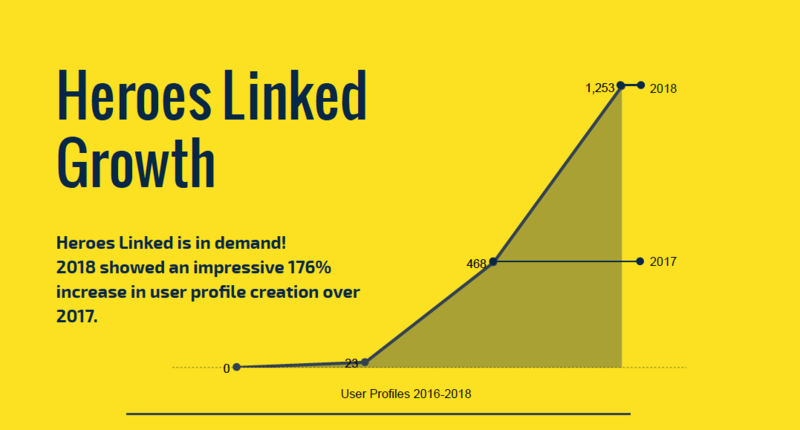 The Heroes Linked program has shown impressive growth since the live beta version of the web application was launched at the beginning of 2018. By the end of 2018, enrollments had surged 176% over 2017 and this growth provided key data on our veterans’ needs and preferences. Throughout 2018, outreach efforts were significantly expanded and foundations for strong community and workforce partnerships were built. The results of which were growth in both social media connection and in cooperative partnerships with other veteran serving charities. 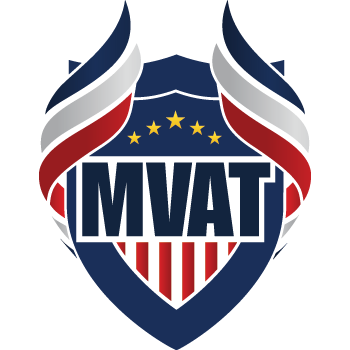 Over the course of 2018, the program added 658 veterans Advisee profiles and 127 Advisor profiles. Currently, Heroes Linked counts veterans living in all 50 states, Iraq, Puerto Rico and Japan. Advisors represent a broad range of industries and professions, and live in 24 states. Working with local, regional, and national veteran serving organizations, business groups, and professional associations, Heroes Linked has integrated into the fabric of established veteran employment programs around the nation. Highlighting this trend was the program’s inclusion as a resource in the U.S. Army Soldier for Life Transition Assistance Program (SFL-TAP). In 2019, Heroes Linked’s growth will be driven by an expanded outreach effort in conjunction with an improved Corporate Partner program. Why Heroes Linked? Far too many veterans are ill-prepared to enter or advance in the public and private sector workforces because their ability to develop and cultivate professional contacts was stifled by the demands of military service. In fact, as surveys consistently show, deciding what career path to pursue and not having the necessary tools to connect with employers are the most challenging issues confronting new veterans. By combining the knowledge held by everyday Americans with the impact of personal connections for both Advisor and veteran, Heroes Linked’s goal is to adapt the mentoring model to fit the needs of a geographically dispersed and growing veteran population. For the veterans and military spouses using Heroes Linked, the advisor network is the engine that drives the program’s value. Building connections and opening doors is what Heroes Linked is all about. In 2019, Heroes Linked’s growth will be propelled by an expanded outreach effort in conjunction with an improved Corporate Participant program. Through this program, companies not only support our program but also the veterans, service members, and spouses who use Heroes Linked every day to further their pursuit of career success. Moreover, it is a signal to current and prospective employees that the company values their service, experience and expertise.